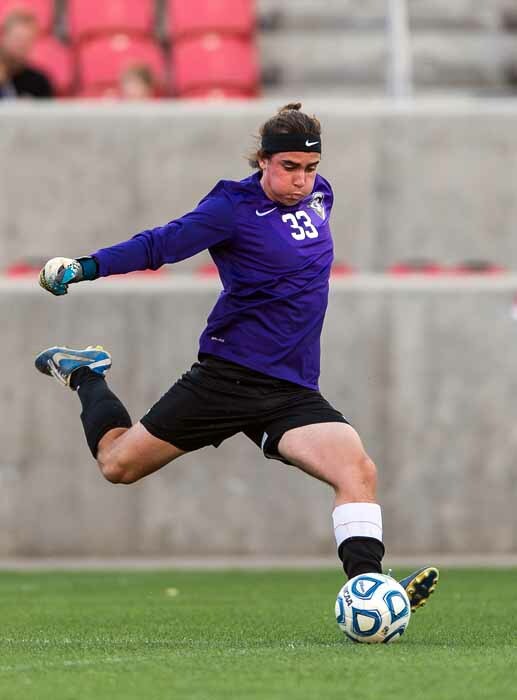 As the clock ran down at Rio Tinto Stadium on May 22, 2014, the Riverton High crowd was going crazy. It was just minutes away from picking up its first ever boys state soccer title. The players on the field, however, and especially junior goalkeeper Parker Seegmiller, were as collected as ever. Seegmiller continued to yell out and guide one of the state’s best defensive teams to a state championship. With only a 1-0 lead, Seegmiller was focused and calm until the final whistle. In that playoff run, he, along with his outstanding defensive, didn’t allow even one goal. The Silverwolves outscored their opponents 9-0. 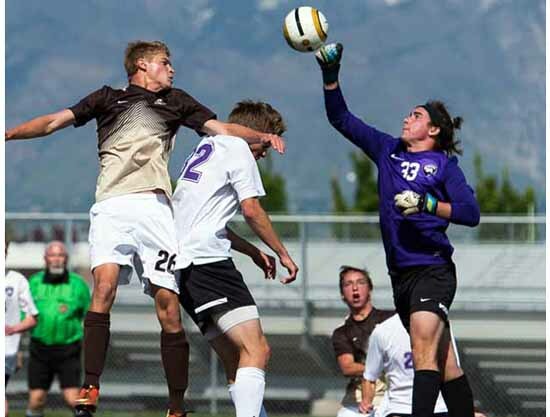 The Riverton defense finished the season with 12 shutouts, two more than any other team in the state. The all-state goalie couldn’t have been more excited about winning a state championship. Seegmiller has been playing soccer since he was 10 years old. In his first competition game they threw him in goal and he hasn’t looked back since. He loves playing soccer because it’s such a creative sport that is individual and spontaneous. As impressive as his on-field performance, you could argue Seegmilller’s off-field results are even better. He maintains a 3.95 GPA and scored a 34 on his ACT while taking six AP classes during his junior and senior years. Now a senior at Riverton, Seegmiller has been accepted at BYU and is on the waiting list for Harvard, and he is more than just an athlete and an academic. He has played the piano for more than a decade and he wants to study engineering or statistics. For now, soccer is not in Seegmiller’s collegiate plans, but he hasn’t ruled it out. Before he begins college, Seegmiller will serve a mission for The Church of Jesus Christ of Latter-day Saints. He has been called to Lithuania and will be leaving July 15. This preseason, Riverton was ranked No. 1 as it began its state title defense. The Silverwolves were undefeated in the preseason, winning all six games, three of which were shutouts. 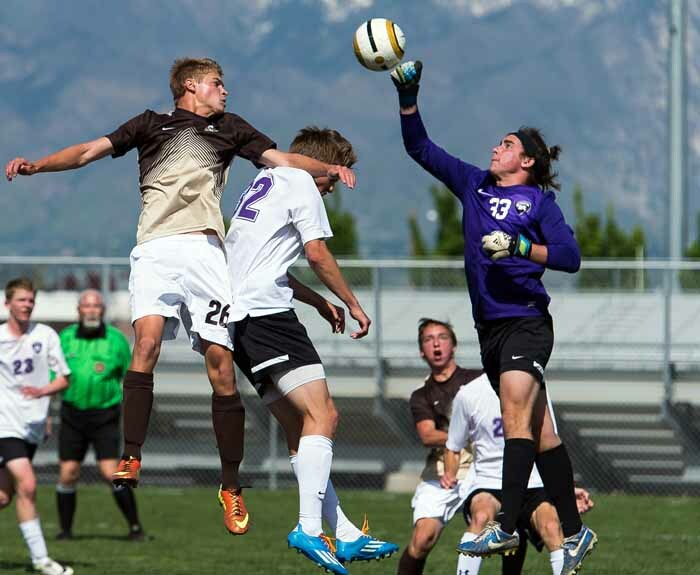 Heading into the final week before the postseason begins, the keeper and his defense have six total clean sheets, and Riverton has not allowed more than two goals in any contest. The Silverwolves have had their ups and downs in region play, which have included two big wins over Lehi, but so far they can’t seem to get past Lone Peak, which leads the way in Region 4. Those three teams are in a tight race for those top three positions in the league and should have a lot to say when the state tournament gets going. With Parker Seegmiller between the posts and last year’s leading goal scorer in Brett Smith returning, the Silverwolves are a team nobody wants to match up with come playoff time. Smith knows how important it is to have his dear friend as the last line of defense. “He gives us a lot of confidence to have someone of his quality behind us,” Smith said. 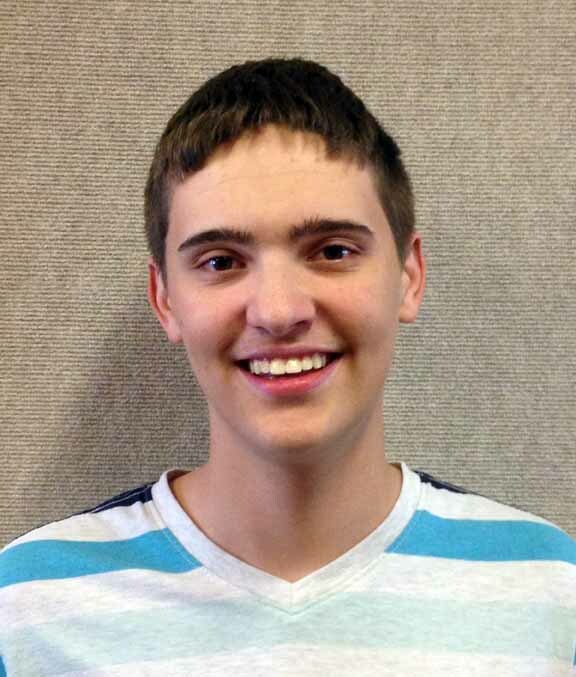 Riverton High senior McCade Pearson wrote this story as part of the Preps Utah/Nu Skin student journalism program.